Mahbubur Rahman is one of Bangladesh’s most prolific visual artists and curators of our times. 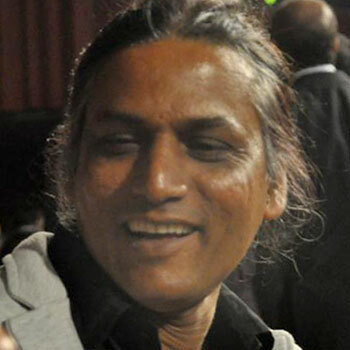 In a career spanning more than two decades, he has shown work around the world, and has had several noteworthy curatorial interventions including several large-scale projects and exhibitions including ‘New Media Festival’ by Britto Arts Trust in 2009, ‘SPACE’ at BRITTO SPACE a Contemporary Art Hub in 2012, Dhaka Art Summit 2014, ‘Cross Casting’ at BRITTO SPACE in 2014 and ‘Chobi Mela’ International Festival of Photography in 2015. Rahman is one the founder-trustees of Britto Arts Trust, the first ever non-profit artists’ run platform in Bangladesh.